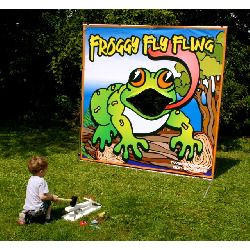 Froggy Fly Fling lets the player test his or her skill by catapulting insects into Froggy's mouth. Kid's love it! And you'll love it too!